If you've always wanted to lose weight simply by standing on a platform, you might want to try a vibrating plate machine at home or your gym. A vibration machine is an electronic device manufactured to help you burn calories through passive exercise. This may sound too good to be true, but research indicates that vibrating machines may be effective for shedding pounds. Vibration plate machines are exercise devices designed to cause the muscles in your body to continuously contract when you stand on them, writes Dr. Kristie Leong, a family practice physician, on HealthMad. The function is to help you build strength and burn calories. Many gyms in the U.S. offer the use of vibrating machines in their exercise facilities, and you can purchase them from fitness retailers for at-home use. Vibrating machines activate your body's stretching reflex, which forces your muscles to contract with no effort on your part, according to the American Council on Exercise. ACE likens the effect to a doctor tapping under your kneecap with a small hammer, causing your leg to kick. The result could be increased strength and power. You can just stand on an operating vibrating machine to use it as exercise, says Leong. But she says you can also perform exercises such as lunges and squats while standing on a vibrating machine in the attempt to enhance the workout. According to ACE, the average vibrating session runs 15 to 30 minutes. Although training on a vibration machine might help improve balance and improve muscle strength in elderly adults, you should not use it as a shortcut to lose weight, says Lashowski. Incorporate strength training, cardiovascular exercise and a healthy diet into your daily routine, Lashowski says. Traditional exercises have proven health benefits, such as reduced risk of cardiovascular disease, that a vibration plate may not provide. 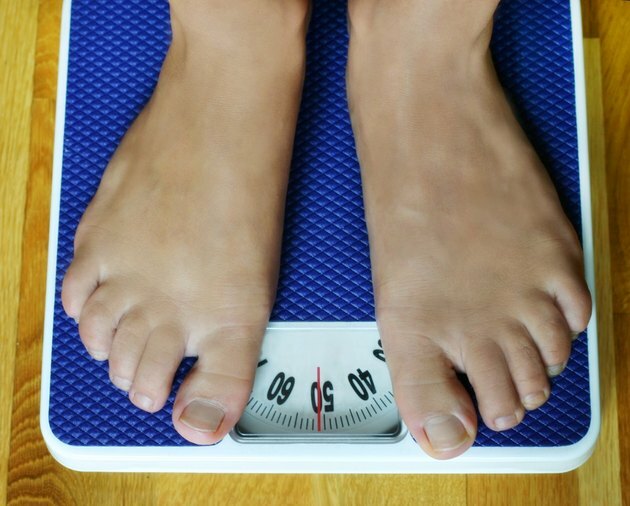 In a study conducted by the Artesis University College in Antwerp, Belgium, 61 obese or overweight people were divided into four groups that received differing treatments to determine the weight-loss effects of the various treatments. At the end of the study, the group that received weekly vibration plate machine exercise instruction lost an average of 10.5 percent of their body weight, and maintained the loss throughout the duration of the study. A group that received a diet and regular conventional exercise instruction lost and maintained an average of 7 percent; a diet-only group lost and maintained an average of 6 percent, and the control group gained 1.5 percent. Although the research shows encouraging results for vibration plate machines, more research is needed to confirm that the machines are beneficial for weight loss, study leader Dirk Vissers says in a 2009 "Eureka Alert." Speak with your doctor about the study findings, as well as the drawbacks of vibration machines before you exercise on one. You may have a medical condition that will worsen during or after exercising on a vibration machine, and your doctor may prescribe you an alternative exercise for your specific condition. American Council on Exercise: Whole Body Vibration Training: Can You Really Shake Yourself Fit? HealthMad: Vibrating Machines for Exercise: Do They Help With Weight Loss? What Are the Health Benefits of a Vibrating Fitness Machine? Does Vigorously Shaking Your Body Make You Lose Weight? Can You Lose Weight by Jiggling Your Belly?